Earlier this month, Samsung’s upcoming phablet the Galaxy Note 9 appeared on popular benchmarking application and database Geekbench. 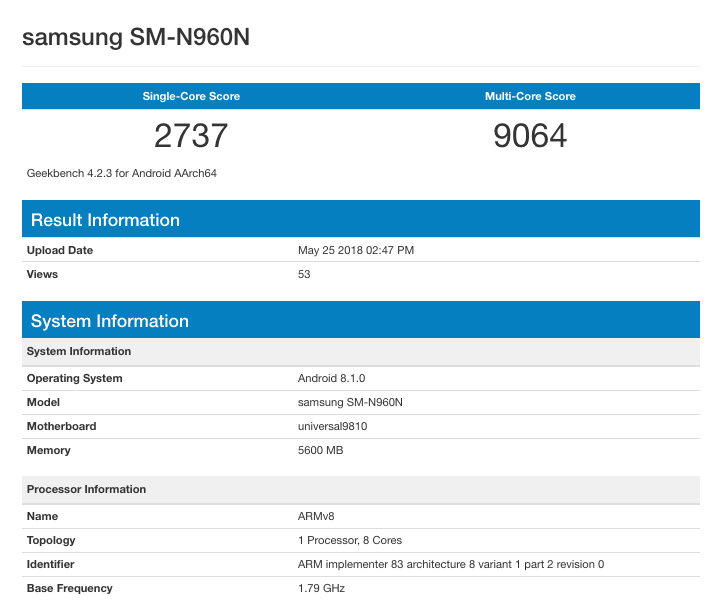 However, so far it was only spotted with its Qualcomm Snapdragon 845 flavoured version, but now a new leak reveals Geekbench results of a device powered by Samsung’s in-house Exynos 9810 CPU. Samsung Galaxy Note 9 with model number SM-N960N was spotted with the in-house made Exynos 9810 octa-core chipset paired with 6GB of RAM. The CPU is clocked at 1.79GHz and smartphone runs Android 8.1 Oreo operating system. The general consensus among Galaxy users is that Samsung Exynos powered devices have slightly better real-life performance than Snapdragon-powered smartphones. The Exynos variants reportedly run Samsung UI much smoother than Snapdragon counterparts. This is because Samsung can easily adapt its software to run perfectly on its own hardware, similar to what Apple does with its iPhone and iOS integration. Anyway if we compare both the results, the Qualcomm Snapdragon 845 benchmark that was run earlier this month scored 2190 in the single core test and 8806 in the multi-core. Meanwhile, the latest benchmark result with Exynos 9810 scored 2737 in single core and 9064 in the multi-core test. As for key specifications of the Galaxy Note 9, there haven’t been many leaks of the device yet. Still, speculations point towards the Note 9 featuring a slightly larger 6.4-inch display in comparison to Note 8’s 6.3-inch. 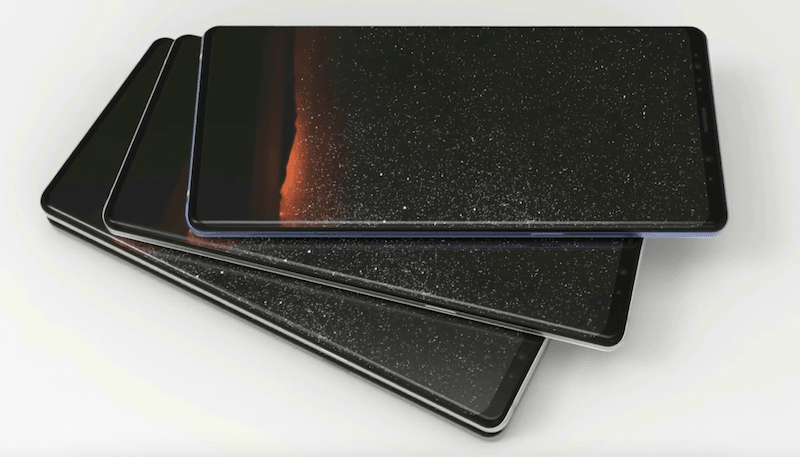 It is expected to go with the usual Super AMOLED panel with an 18.5:9 aspect ratio. The Galaxy Note 9 is also rumoured to sport dual 12MP sensors on the back, identical to the Galaxy S9+. It is also expected to be fueled by a powerful 4000mAh battery. Some reports also suggest that Samsung might go for an in-display fingerprint sensor for the Galaxy Note 9. There also talks pointing to a new version of Samsung’s smart assistant – Bixby 2.0. As for the release date of Galaxy Note 9, the recent benchmark leaks point toward the launch happening pretty soon. In fact, reports have claimed that Samsung will officially announce the Note 9 a month ahead of its usual timeline, towards the end of July, with sales reportedly beginning in mid-August. Battery life on exyonys is better than Qualcomm and vice versa for performance !!!!! Exynos processors are not good though Samsung is a decent brand, these phones starts getting hang after 6 months. Also they are not battery efficient. Otherwise number counters will keep counting numbers typical of android users, this is not necessarily transforming to good performance. Prefer Qualcomm based processors as they don’t get hanged.